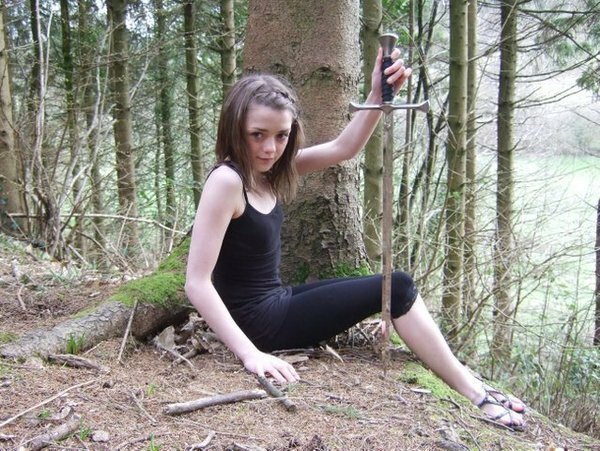 Maisie Williams. . Wallpaper and background images in the गेम ऑफ थ्रोन्स club tagged: game of thrones maisie williams arya stark. This गेम ऑफ थ्रोन्स photo might contain चड्डी, leotards, अमेरिकी सफेद सन्टी, कागज सन्टी, paperbark सन्टी, डोंगी सन्टी, betula cordifolia, betula papyrifera, अमेरिकन व्हाइट बर्च, पेपर बर्च, पेपरबर्क बिर्च, डोंगी बर्च, बीटाला कॉर्डिफ़ोलिया, बीटाला पैपरिफेरा, तेंदुआ, unitard, शरीर सूट, बिल्ली सूट, लोटर्ड, यूनीडार्ड, and बॉडी सूट.